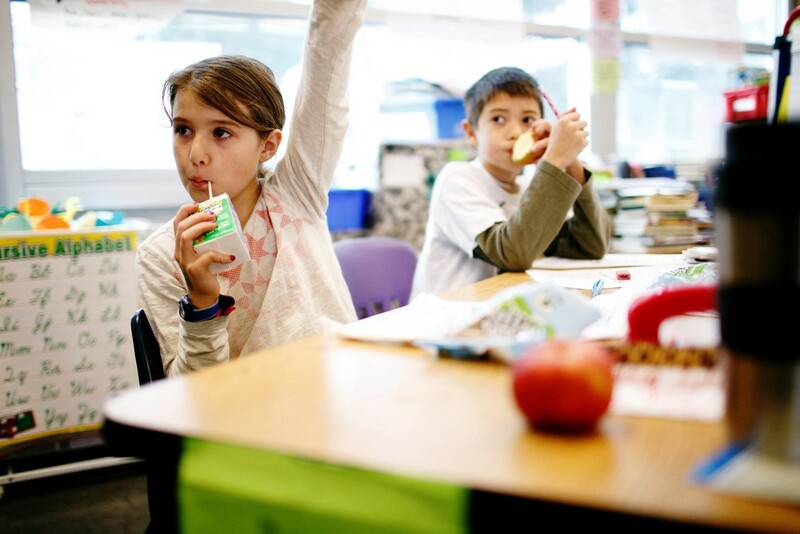 Students do better when they start the day with a nutritious breakfast. 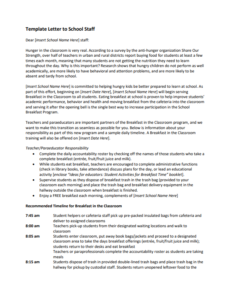 Making breakfast a seamless part of the school day with Breakfast After the Bell sets all students up for success by ensuring that they are focused and ready to learn. 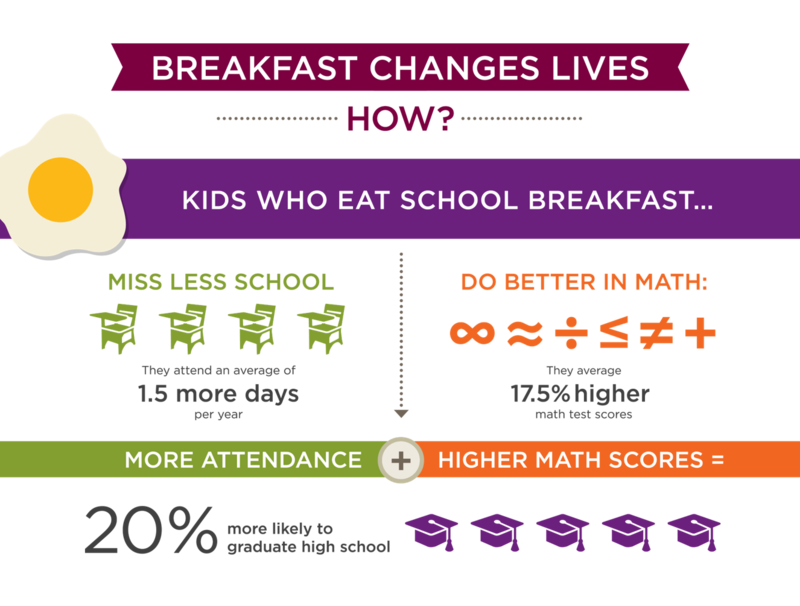 By simply shifting breakfast to after the school bell rings and into the classroom, students show higher test scores, better focus, and miss less school. 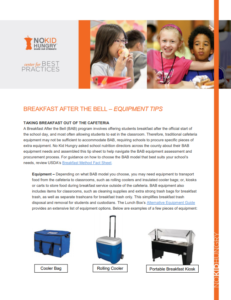 As implementation of Breakfast After the Bell and HB 1508 is underway, many districts have indicated a need for additional equipment funding to supplement their OSPI Breakfast After the Bell Grant awards. 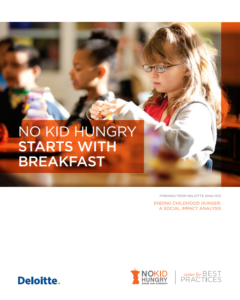 United Way of King County is offering one-time funds to support start up and implementation of Breakfast After the Bell in districts across Washington. To be considered for additional equipment funding, please fill out this form for your district. For more information about additional grant opportunities, promotional and marketing materials, implementation resources and technical assistance, contact schoolbreakfast@uwkc.org. 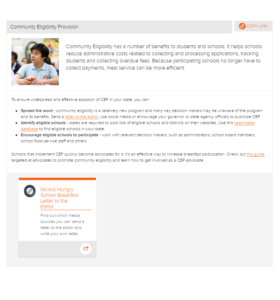 From toolkits to one-pagers and marketing materials to webinars we’ve got the resources needed to make sure all students have access to the fuel they need to learn. 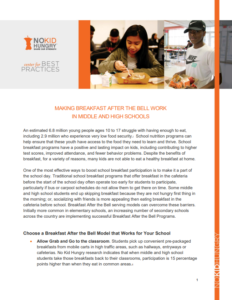 Download the Washington Breakfast After the Bell Implementation Toolkit to learn how you can start or expand a Breakfast After the Bell Program in your school! 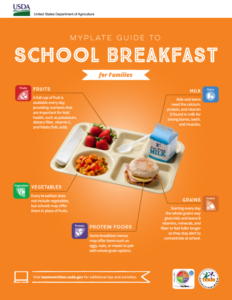 Strong participation in school breakfast can lead to stronger academic outcomes, fewer behavioral issues among students, and improved school health. 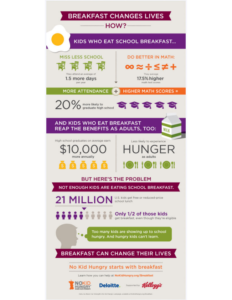 Learn more about how Breakfast After the Bell can help your school be the best it can be. 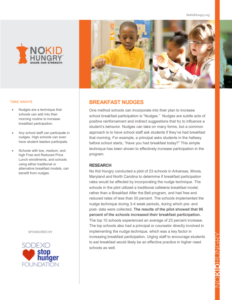 From food service staff to superintendents, successful school breakfast programs rely on support from all levels. 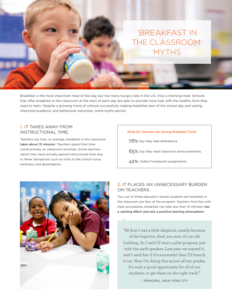 Learn more about the role treasurers, superintendents, and other school administrators play in school breakfast. 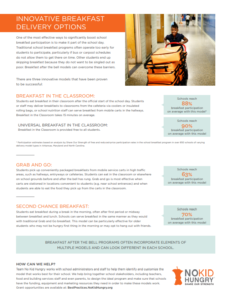 Making breakfast a seamless part of the day with Breakfast After the Bell models can have a huge positive impact on classrooms and schools. 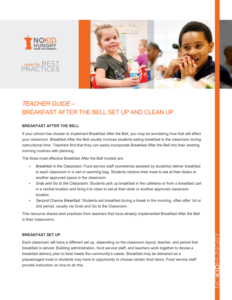 Learn more about how breakfast can impact your classroom and pick up the tips and tricks that will help make breakfast in your classroom a breeze. 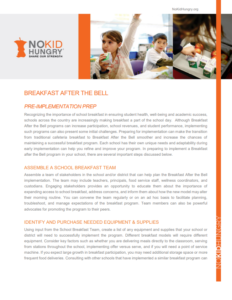 A school’s food service team is the backbone of a strong school breakfast program—learn more about how to roll out a successful Breakfast After the Bell program and increase participation, all while strengthening your bottom line. 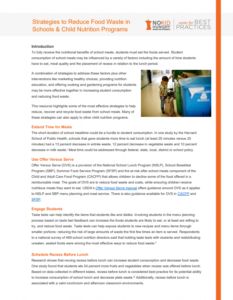 To access webinars about school breakfast and other child nutrition programs, click here. 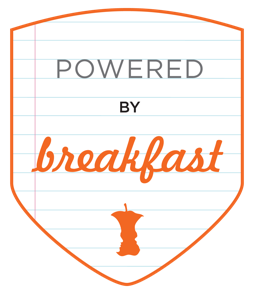 Help us spread the word about school breakfast by sharing news about grant opportunities, updated resources, and recent successes with decision-makers in your community. 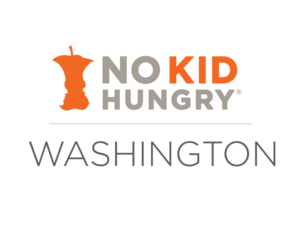 Do you want to become a breakfast leader across Washington? 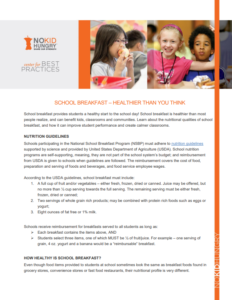 School Breakfast Champions help us strengthen breakfast programs across the state by sharing best practices, lessons learned, and success stories. Send us your breakfast success stories, ask us your most challenging questions, or drop us a line – we’d love to hear from you! 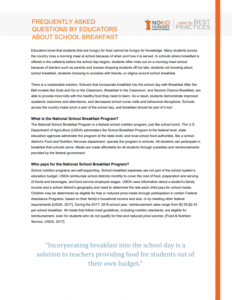 Check out the breakfast resources to see how you can kick-start a breakfast program in your school or district and learn how you can engage school decision-makers. 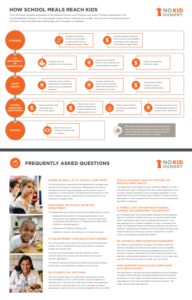 If you want to learn more, have questions about implementing Breakfast After the Bell in your community, or want to share a compelling story, send us a message!